People, who say, V/F mode is same good as vector mode, check please motor current in V/F mode and vector mode. I did it many times. May be i made some mistake, but in vector mode less motor current than V/F mode. At same speed and load of course. I did it with Telemecanique variable frequency drives in the past, and now Gozuk variable frequency drives. Many times less motor noise too. Of course, if you don't want to set or not possible to set correct motor parameters and autotuning, the result in vector mode could be very bad. As i know, vector mode is more accurate regulation, and it has best result. I know V/F mode as the first regulation method at the first variable frequency drive for 20 years. After that appeared the voltage flux vector regulation on the stator, and after that current flux vector regulation on the rotor. The last is the most accurate. My knowledge is not up to date. Write me please what are wrong in my statements, and what is the correct evolution of regulation. Variable frequency drive V/F mode with variable torque is the most economical way to power fan application. The energy savings factor and the cost of a new installation are the two main considerations. There was no mention of what horsepower these motors are or whether they are medium voltage. Most high horse power fans in asphalt/cement plants have a lot of inertia and take considerable amounts of time to stop or ramp up. Often the fans are run in tandem and one needs braking while the other starts to prevent incorrect rotation. If the fans needs to come down to zero speed fast the vector VFD could prove useful if the expense will offset the economics. For start up braking of tandem fans a mechanical (eternal ratcheting devise) means is considerably less expensive and does not require constant torque or vector control. Thank You Terry! 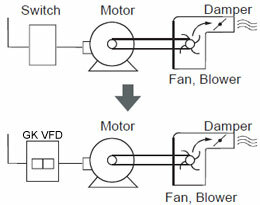 But V/F control and variable torque control (for fans and pumps) are two different things. 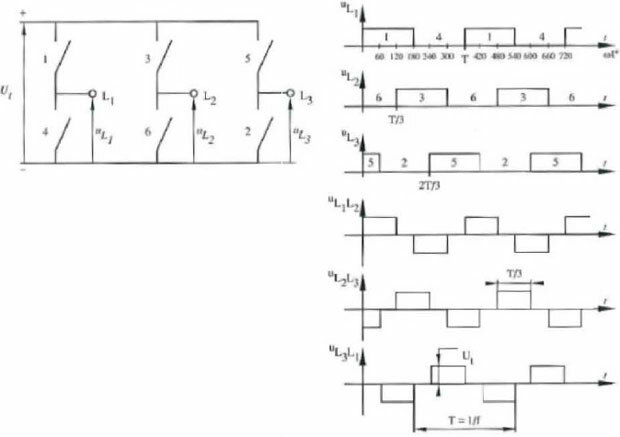 I agree, VFDs for variable torque application are cheaper than constant torque, When we say V/F control mode, it is possible use in variable and constant torque application. In constant torque are a lot of disadvantage of the old V/F control mode. At some cases at pumps i tried variable torque and V/F mode, The motor current was high at low mechanical power. .I switched to constant torque flux vector control mode. It works well. Less current, less noise. It is worthy at universal variable frequency drive only at low power range. For higher power is not worthy to buy more expensive constant torque VFD for variable torque application. generally, V/F mode is OK.
but it really depends on the exact fan application. For some critical fan application, VFD needs to use vector control for the exact manufacturing process. I think you should tell us the exact application environment, exact requirements, such as the response speed. Pls kindly notice not all the fan applications are simple. Some are critical and complex too.